Looking for a particular product? For Deli / Bakery orders, please call the store directly. Grocery DeliveryOpens The Draeger's online ordering"
Viognier Restaurant Opens The Viognier Restaurant in a new window"
Cooking School Opens The Cooking School in a new window"
Do you want it brined, or do you want to brine it yourself? Do you want leftovers or are you planning on sending some home with family? Your turkey isn't frozen! Diestel Turkeys come to you intentionally chilled to as cold a temperature as possible without freezing. This guarantees that you take home the absolute freshest, preservative-free bird. Chilling can result in a cold, firm turkey we term "crusted". In preparing for your oven, a firm turkey will easily soften by merely submerging the turkey, in its bag, under cold running water. We recommend 1 pound per person- this should give you a little wiggle room on those leftovers! Next, how are you going to cook and prep it? 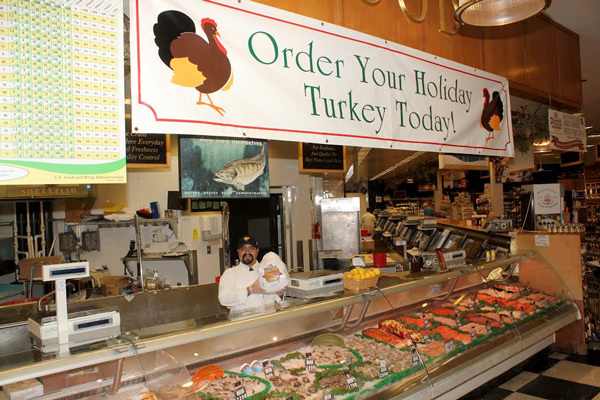 If you want a turkey brined for you, you need to specify that when placing your order. If you plan on brining the turkey yourself, plan on doing so for a full 24 hours. Remember: if you brine a turkey, the cooking time gets cut in half. "The earlier you order your turkey the better. This way, if you do have questions, you can call and ask - or if you have any sudden adjustments to the size, the new size you're looking for will still be available to you." Keep the poultry cold right up until the time you cook it. While prepping poultry, wash your hands knives, cutting board and counter thoroughly and often with hot water and soap. 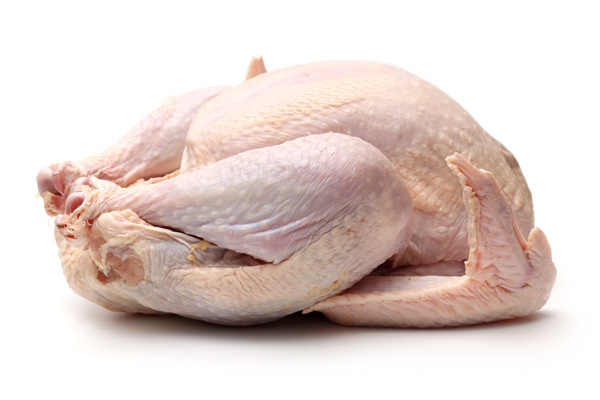 Take care that raw poultry or its juices do not come in contact with other foods. Make sure you use your meat thermometer. After the turkey rests, the breast should register 170°F, and the thigh, 180°F. If you are cooking a stuffed bird, make sure the temperature of the stuffing registers at least 160°F. Never stuff a bird in advance. Stuff it just before roasting. Prices subject to change. Copyright © 2018 Draeger's Markets. All rights reserved. Completly free and safe! Unsubscribe at anytime.